Fender Telecaster is both a guitar and a household name. An iconic brand that deserved respect and trust in the music world and it’s maintaining it since early 60’s, and a guitar that any pair of hands would want. 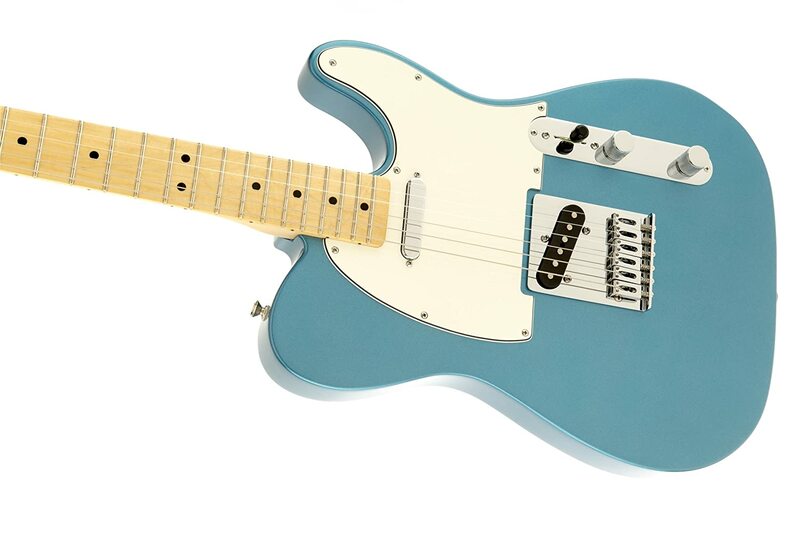 Adler body of a Fender Standard Telecaster is designed for superior sound. The body and neck of a guitar are the voice, where the strings would be the vocal cords. Maple 9.5- inch fretboard with 21 medium jumbo frets from the neck of this beauty, promising pleasurable playability and great versatility. From country rock to heavy metal, this guitar will make it happen. Adler wood is nowadays considered as Fenders signature. Implemented in 1957 , it is used up to this day. It’s a medium–weight wood which gives a strong, full-bodied sound, excellent sustain and commendable lows and mids. Before Fender began using the Adler wood for its guitars, ash wood was the thing. They used it for electric guitars almost exclusively 1950 to 1956. Guitars and basses with blonde finishes often have ash bodies because the wood “takes” that particular finish especially well. Adler wood came to more frequent use when it was discovered that it was more affordable than ash. The letters V, U and C are used by Fender as analogies to describe the shape of the back of instruments neck. The only one that does not literally resemble the corresponding analogy is the “C” shape that Tele has, but many people refer to it like that due to its oval shape. It is ideal for those musicians who play with their thumb on the back or on the side of the neck because its smooth finish designed to accommodate the natural hand position that is assumed while playing. On the other hand, for those with an eye for aesthetics, the “C” shape also refers to the versatile nature of the Tele. It stands in between the edgy, energetic “V” and cool, laid back “U”. Standard Tele comes with a maple fretboard, which is rather a common type of neck wood used in solid body guitars. Maple boards are typically placed on swamp ash or brighter wood bodies and it lends a snap to the tone of the guitar. Due to its smooth feel, both musicians who like soloing and those who like chords more would find this guitar to their taste. The modern system of string through body anchoring is performed to neatly attune the playing style and tone. A big bridge extends all the way out under the bridge pickup, which provides a solid tether for the tone, along with the string-through body. Going up, the Telecaster also features the 70’s vintage headstock with the logo printed on it, as well as adjustable tuners. It is rather common, but simplicity combined with the means of coping with demands of modern times is one of the crucial things which kept the Fender legacy alive and running for nearly a century. It doesn’t matter whether you are a seasoned musician with a hint of nostalgia or a proud new owner of the Fender Standard Telecaster, you will find it easy to set up and begin playing in no time. As said before, the mere simplicity of Fenders hardware made sure of that. Fender Telecaster has two single coils. While one on the neck serves for a bit mellower sound, the one on the bridge gives off sharp tones with lots of treble response because it’s mounted on a steel plate. 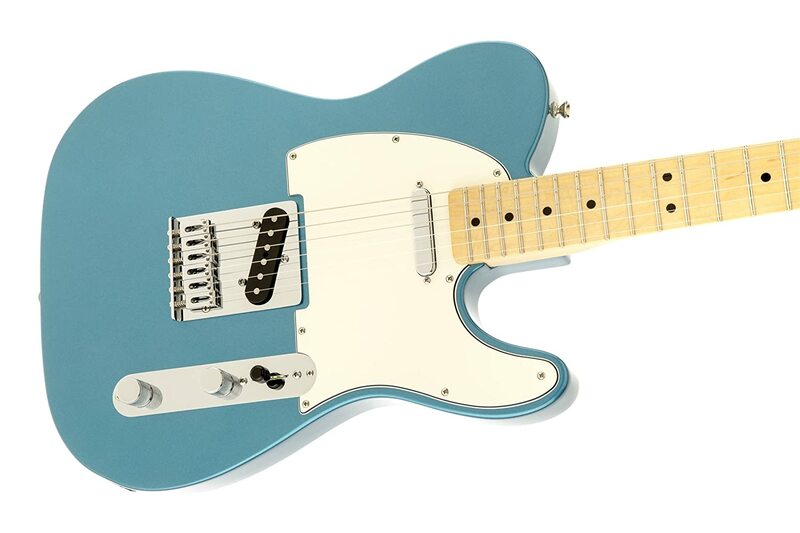 Even though this was intended to further refine the sound and to make apparent the great versatility of the Tele, this design allows for the emulation of steel guitar sounds, making it awesome for country music. 1.1. Neck pickup with treble cutoff for more basses in the sound. 2.1. Neck pickup only, with no treble cutoff. The best thing about the Tele is, as said before, its ability to produce many different sounds. From angelic melodies of classical music to hellish growls of metal, the Fender Tele is a guitar which will be a voice of the soul of the musician who decides to make it his. While the neck pickup gives off a warm, radiant tone, the bridge pickup outputs a crispy sound, which is the product of more windings than the neck pickup, thus producing higher output. The quality solid body allows the guitar to deliver a clear and sustaining amplified version of the strings’ sound. Previous models with hollow bodies had a drawback considering the sound, which resulted in unwanted acoustic feedback. Not as comfortable as a Strat. Fender promises quality as it delivers quality. Perhaps one of the greatest guitars in its price range, while not being overly expensive, this might just be your best choice, considering its many uses. I hope that this Fender Standard Telecaster Review was of any help, for this model delivers the name of Fender in all its fame and glory. For the listed price, this is a great deal. Highly recommended!